UPDATED: Wed., Sept. 27, 2017, 10:52 p.m.
Timberlake head football coach Roy Albertson told his assistant coaches he didn’t feel well as his players were stretching to start practice on Tuesday. “He said he felt nauseous,” assistant coach Brian Kluss said. Moments later, Albertson suffered a heart attack, collapsing to the ground, Kluss said. That’s when instinct and training kicked in for Timberlake’s assistants. They used resuscitation measures – including shocking Albertson’s chest – Kluss said. In less than 10 minutes, a helicopter arrived at the Spirit Lake school and Albertson was flown to Kootenai Health, Kluss said. Kluss was at the hospital into the evening on Tuesday. Albertson’s surgery reportedly went well. Kluss will serve as interim head coach but said the duties will be shared. Timberlake’s game at Lakeland on Friday will be played, Kluss said. The coordination between coaches and a trainer who attended to Albertson impressed Kluss. 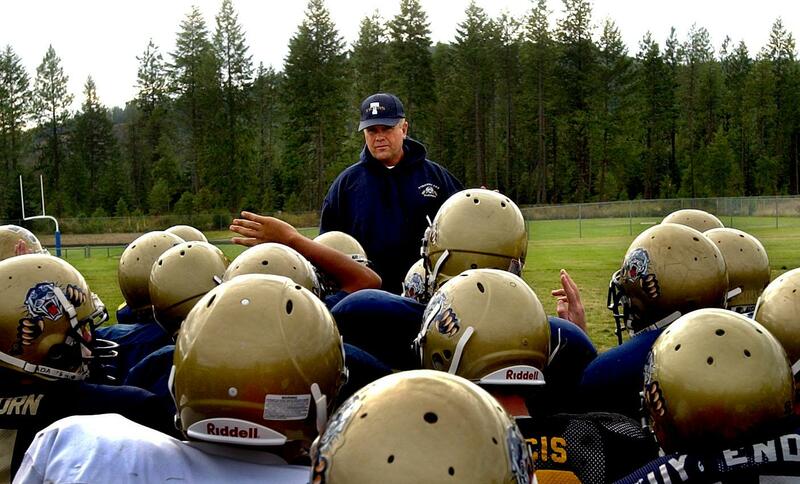 Albertson, 69, is in his 15th season at Timberlake. He retired from Chewelah after the 2002 season and landed the following year in Spirit Lake. He has a 173-104-1 overall record, 92-51 at Timberlake. He was a head coach for eight years at Chewelah, four in his first head coaching job at Dayton and spent 17 years at Kennewick, 13 under the late Ed Troxel. Timberlake is 0-4 this season. The Tigers have captured 13 straight outright or shared Intermountain League championships. Published: Sept. 27, 2017, 1:31 p.m. Updated: Sept. 27, 2017, 10:52 p.m.